Teens are subjected to a wide range of influences, both positive and negative and the difference between good and bad decisions takes on much greater significance. In today’s world, it's so important they have good friends and positive role models in addition to their parents and classroom teachers. With the increasingly intense school curriculum and homework, college prep testing, and sports schedules, it can be difficult to find a good balance and allow for some down time. At Satori, the teens in our program are well prepared to take on these challenges. Surrounded by other teens and adults with positive values, they come to learn how focus, respect, and self-discipline can give them a huge advantage in life. Getting a great workout, advancing though ranks, and having a ton of fun in the process is a great release from the stresses of school and teenage life. 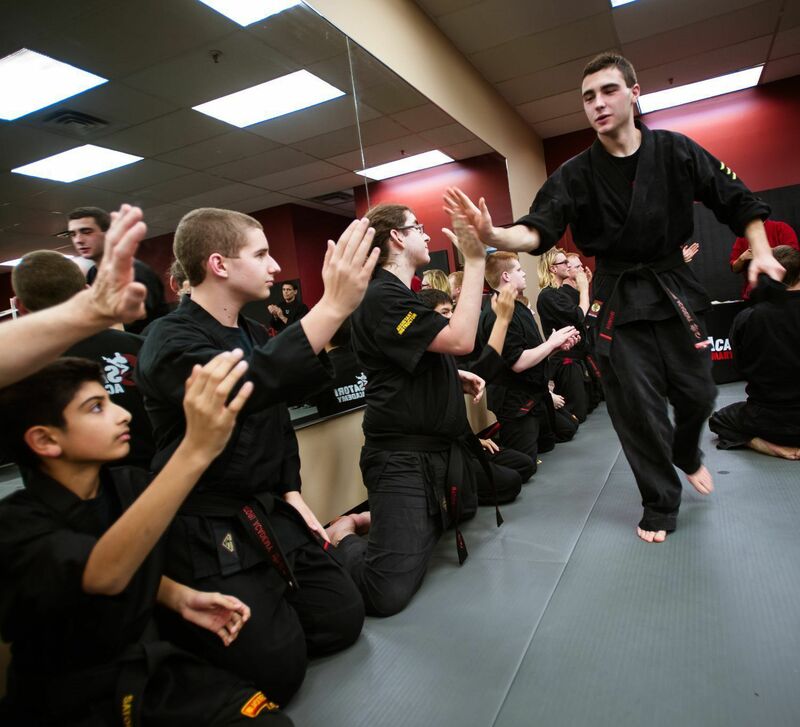 Instructors balance serious training with a lighthearted side – Our teens enjoy themselves when they’re here and they look forward to returning when they’re at home or at school.